Odie Wilkerson, 94, of Akron passed away August 13, 2018. He was born December 18, 1923 in Mortons Gap, Kentucky to the late Guy and Lorraine Wilkerson. Odie proudly served in the United States Army as a surgical technician during WWII. During his service, Odie spent most of his time on the battlefields tending to his wounded comrades. After his three years in the Army, Odie came to Akron to work for the B.F. Goodrich Rubber Company. In addition to his parents, Odie was preceded in death by his loving wife, Ada; son, Kenneth; daughter, Shelia; two brothers and four sisters. 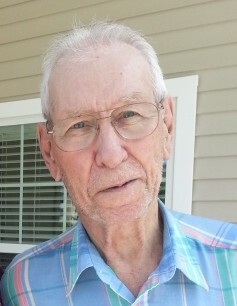 He is survived by his son, Allan (Christine) Wilkerson; grandchildren, Laura (Todd) Gray, Ashley Wilkerson, Brooke (James) Valentine and Raymond Wilkerson, six great-grandchildren and two sisters. A graveside service will be held at 1:00 P.M. on Friday, August 17, 2018 at Hillside Memorial Park, 1025 Canton Road, Akron, Ohio 44312 with Pastor Darryl Moulder officiating. To leave a special message online for the family, visit our website at www.schermesserfh.com.